This 50-minute DVD by Nancy Thomas brings laughs and understanding to a weighty subject. We can make a powerful difference helping our hurting children when we understand their brains! Shows PROOF that they can heal! A Better Brain = Better Behavior! Building Better Brains Through Bonding is filled with ideas to understand and activate the brain. 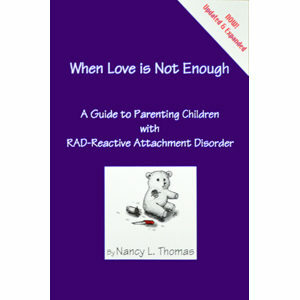 It is especially geared toward children with emotional illness such as Reactive Attachment Disorder and Attachment Disorder. Humor and insight combine to make this film clear and compelling. Come join Nancy Thomas and her special guest the late Lawrence Van Bloem, LCSW, master neurofeedback practitioner, as they share their insights gained from a combined 50 years of working with difficult children with broken hearts and wounded minds. 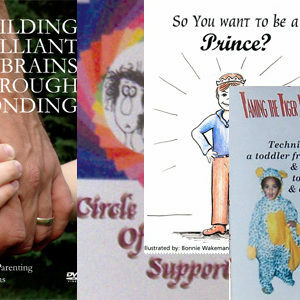 Learn the secrets to success in healing the brain of a traumatized child.